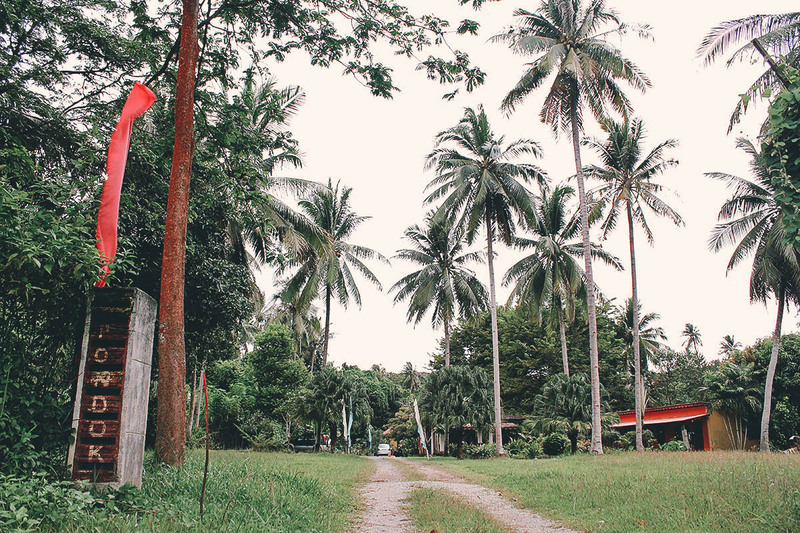 As a kid growing up in a third world country like the Philippines, I was used to the idea of Filipinos moving to a western country like the US for a better life, not the other way around. But as I learned on that trip, the concept of a “better life” is relative and a matter of perspective. Leaving behind whatever life they had in the west, these westerners went to Boracay planning to visit for a week but wound up staying the rest of their lives. Such is the power of a paradise like Boracay. Langkawi, an archipelago of 99 islands about 30 km off the coast of northwestern Malaysia, is that kind of paradise. Known as the “Jewel of Kedah”, Langkawi is all about nature. If trees, beaches, and sunsets are your thing, then you may wind up visiting this paradise and never leaving. Like Boracay, there are many who have fallen under its spell. Langkawi was awarded UNESCO World Geopark status in 2007 and is home to lush forests, white sand beaches, waterfalls, caves, limestone cliffs, and mangroves. Apart from its natural beauty, it’s an island rich in folklore. Many of its natural formations are steeped in legend, each story adding to the mystique and allure of the place. Weather is always a factor when planning a vacation, but that’s less of a concern in Langkawi. Though it officially has a dry (Dec-Feb) and rainy (Mar-Nov) season, it has one of the most stable climates among all Malaysian islands. The reason for this is that it’s shielded from major winds and storms by the mainland on one side and Sumatra on the other. Temperatures are fairly consistent – ranging between 30-35°C during the day and 28-29°C at night – making it suitable for tourism year-round. We went in September which experiences some of its highest rainfall. Even then, it wasn’t bad. I remember it raining for maybe a couple hours each day, usually in the early afternoons, before becoming sunny again. Weather is pretty much a non-factor here so you can go anytime you want. You can get to Langkawi by air or by sea. If you’re already in Kuala Lumpur and traveling by air, then you’ll be departing from either KLIA or LCCT airports, depending on your airline. If by sea, then your journey starts by overnight sleeper train from KL Sentral train station. Check out my post for detailed information on how to travel between LCCT-KLIA-KL Sentral. BY AIR: Less than an hour away, we took Malaysia Airlines from Kuala Lumpur to Langkawi, but it’ll probably cost less if you go on Air Asia. If you need to arrange for a private transfer from Langkawi Airport to your hotel, then you can do so through Klook. BY SEA: You can take a ferry into Langkawi from Kuala Kedah, Kuala Perlis, Penang, or Satun (Thailand). Follow the link for ferry information to Langkawi. If you’re starting from Kuala Lumpur, then you can take the new high-speed KTM ETS train from KL Sentral to Arau. It’s about a 5-hr train ride with fares starting at RM76 for adults and RM42 for kids. Follow this link for the ETS train schedule from KL Sentral to Arau. From Arau, you can then take a taxi to Kuala Perlis for around RM25. A ferry leaves Kuala Perlis for Langkawi every hour or so from 7AM-7PM. The ferry ride is slightly over an hour long and costs RM18 for adults and RM13 for kids each way. You can check this link for the Kuala Perlis – Langkawi ferry timetable. We flew to Langkawi but there are other ways to get there depending on where you are. I suggest checking 12Go Asia to find route options available to you. You can click on the link or use the widget below. Langkawi is all about rest and relaxation. It’s about disconnecting and enjoying life at an islander’s pace. We stayed here for a week which allowed us to explore the island without feeling rushed. On some days, we drove around and explored the island. On others, we sat on the beach and did absolutely nothing. It was awesome. If you have the time, then plan on spending a week here. If not, then around 4 nights should be enough. Like most Southeast Asian countries, Malaysia is cheap. 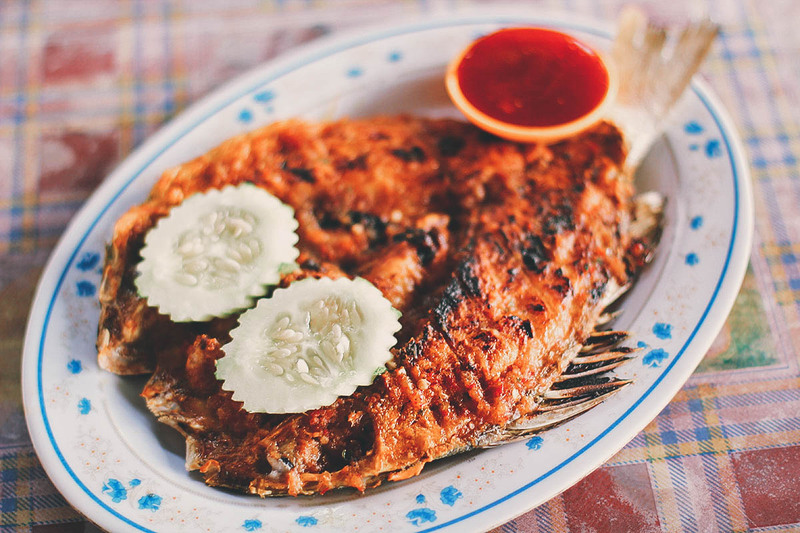 Most of your spending in Langkawi will go to lodging, car (or motorbike) rental, and food. If you stay at an inexpensive guesthouse, rent a compact car, and eat modestly, then you should be fine with a starting budget of around RM200-250 per day. 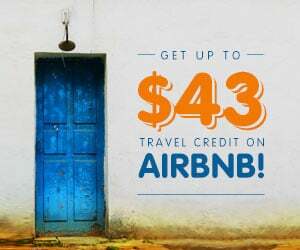 This assumes you’ll be splitting the cost of accommodations and car rental with one other person. You can increase your daily allowance based on the number of activities and amount of shopping you want to do. Entrance fees to attractions like the wildlife park and the SkyCab aren’t that high, around RM40 each. Guided outdoor activities like sailing, jungle trekking, and mangrove kayaking are more expensive, at least RM120 per activity. Sailing tours in particular can be very pricey (more details later in this post). Langkawi is also a duty free port so you may want to bring extra cash if you intend to do some shopping. Banks are the best place to exchange foreign currency but rates at licensed money changers aren’t bad either. 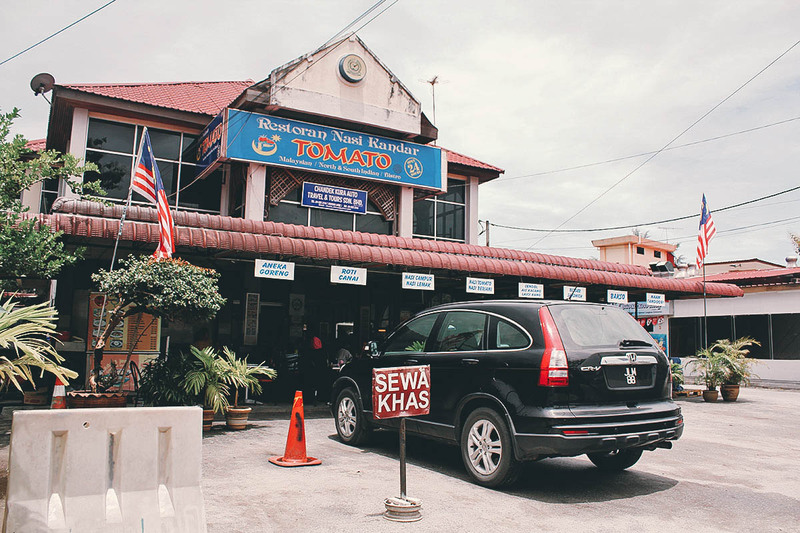 You’ll find most banks and money changers at the airport, in Kuah Town, or at Pantai Cenang. Banks are open from 10AM-4PM, Mon-Fri. Many of the larger hotels will exchange your currency as well, though the rates may not be as good. If you’d rather not bring a lot of foreign currency with you, then you can withdraw RM from an ATM. Rates are competitive. To be safe, make sure to tell your bank that you plan on using your ATM abroad so you don’t run into any issues. In my experience, my ATM card works in some machines but not all. With Langkawi being so much about nature, we wanted to stay in a place that reflected this. 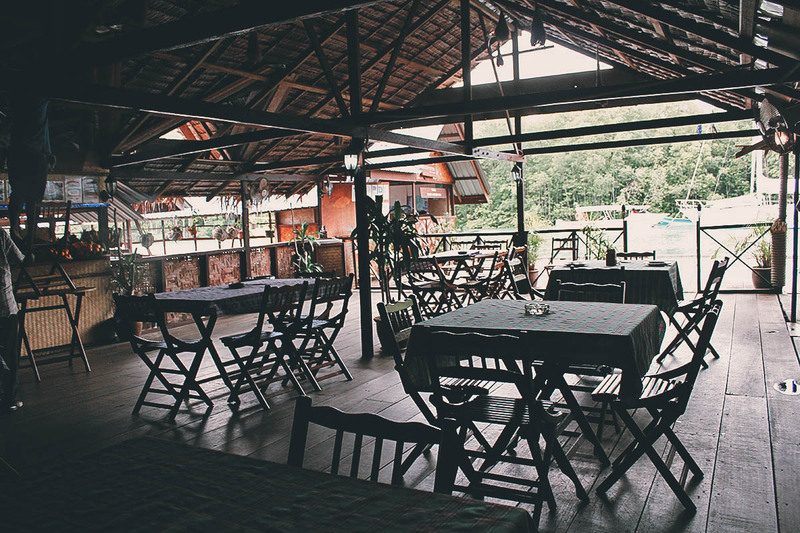 Pondok Keladi Guesthouse – with its six rooms and hippie vibe right at the mouth of the Malaysian rainforest – was exactly that kind of place. A TripAdvisor favorite, Pondok Keladi is a charming, rustic hideaway about a 20-minute walk from the main tourist hub of Pantai Cenang. It feels a lot like a bed and breakfast with its open-air lounge area and common kitchen. 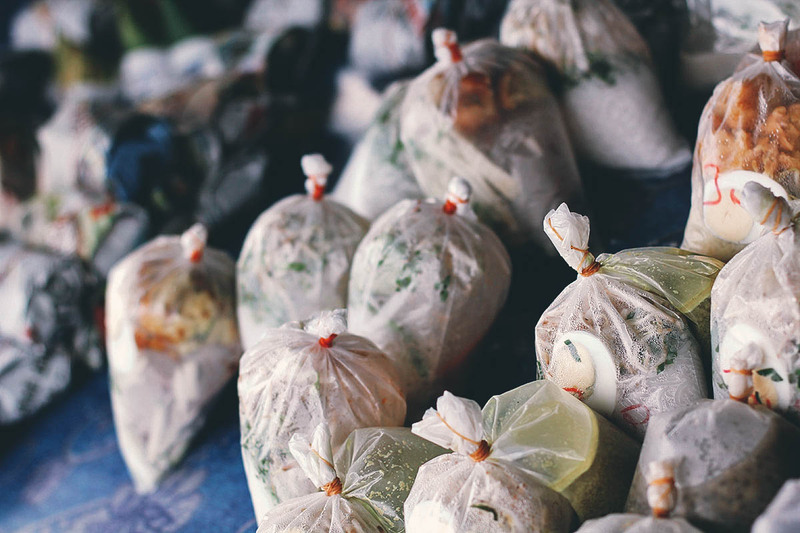 Stocked at all times with basics like milk, eggs, bread, jam, coffee, and instant noodles, guests are free to help themselves to as much of it as they want at no extra charge. The only things we didn’t like about Pondok Keladi was the distance from Pantai Cenang. 20 minutes doesn’t sound like much, but trust me, it is when the tropical sun is beating down on you. 😆 The place feels a bit old and moldy in spots as well, especially in the common lounge area. But other than that, it was a good place to stay. You can book a room at Pondok Keladi through AirBnB. The room rate as of May 2017 is around USD 36 per night. 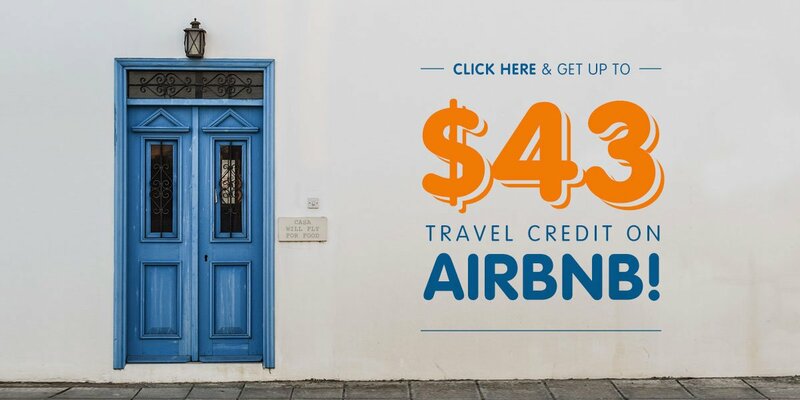 If you’re new to AirBnB, then you can get up to USD 43 FREE travel credit by signing up through THIS LINK. Alternatively, you can look for accommodations on Booking.com and Agoda as well. 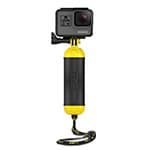 Be sure to check both sites to find the best deal. Langkawi has many pristine beaches. It’s biggest and most impressive is Pantai Cenang, which is about the same length as Boracay (Philippines) but twice as wide. Its sands aren’t quite as white but they’re just as powder fine. As previously mentioned, Pantai Cenang is one of the main tourist hubs on the island with a long stretch of hotels, restaurants, shops, and bars. Separted by a small cape, next to Pantai Cenang is Pantai Tengah. Other notable beaches on the island include Tanjung Rhu and Pantai Pasir Tengkorak. Check out my post on Langkawi’s beaches for more pictures and information. The best place for a bird’s eye view of the island. Perched on Mt. Machincang roughly 650 meters above sea level, the SkyCab is a three-station cable car system covering a distance of over 1,700 meters. Observation decks with 360° panoramic vistas of the island are located at both the middle and top stations. Hanging at about 100 meters above the top of Mt. Machincang, you can also take a walk on the SkyBridge which is one of the world’s longest curved suspension bridges at 125 meters. Definitely not for the faint of heart. They’ve added new attractions since our visit so the basic combo pass which costs RM 55 for adults and RM40 for kids will give you access not just to the SkyCab, but also to SkyRex, SkyDome, and 3D Art Langkawi. The cost to walk on the SkyBridge is RM5 for adults and RM3 for children. There are a few waterfalls on the island but Telaga Tujuh (pictured below) is arguably the most impressive. Frequently billed as the island’s most beautiful natural attraction, its name means Seven Wells Waterfalls which is in reference to its series of seven connected natural pools. Though cemented and easy to walk on, be warned that there a quite a number of steps to the top. 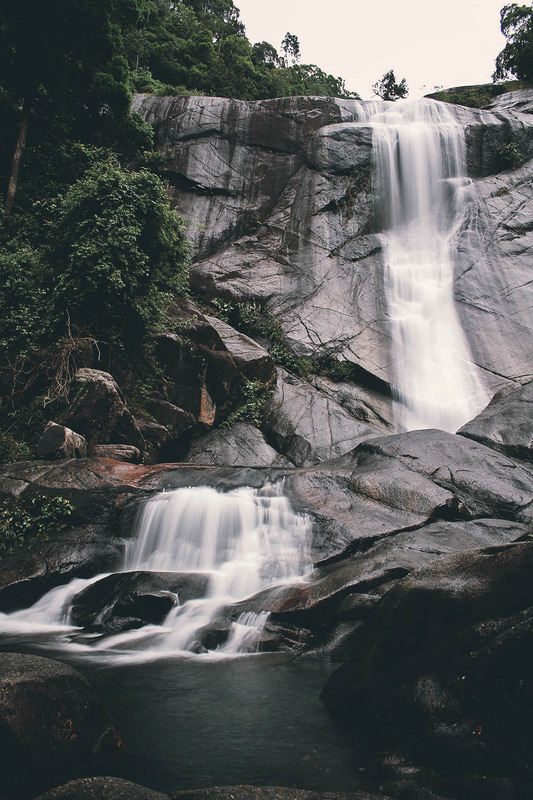 Other notable falls in Langkawi are Temurun Waterfall and Durian Perangin Waterfall. 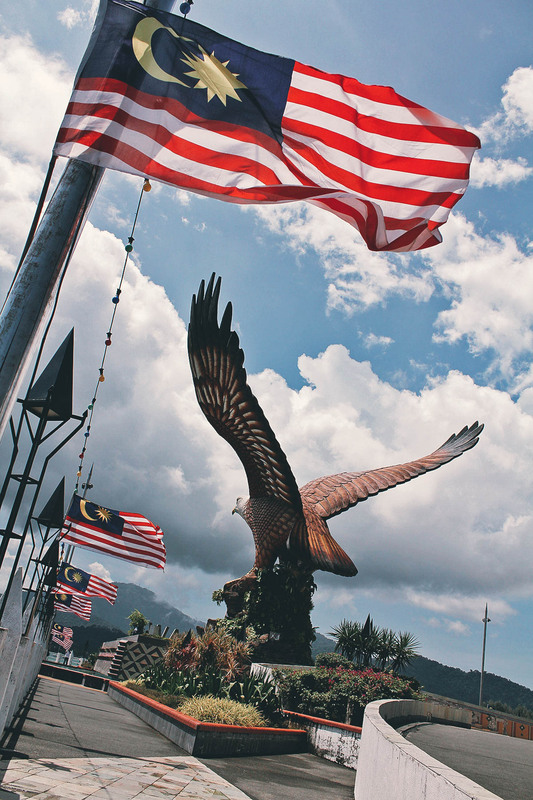 Langkawi’s most developed area, Kuak Town is a bustling commercial area that’s home to many shops, hotels, and restaurants. It’s also where you’ll find the island’s most prominent landmark, Eagle Square. If you’re traveling to Langkawi by ferry, then you’ll be docking here. Duty-free since 1987, popular items for sale in Langkawi are wines and spirits, tobacco, apparel, cosmetics, souvenirs, food, cooking ware, and electronics. 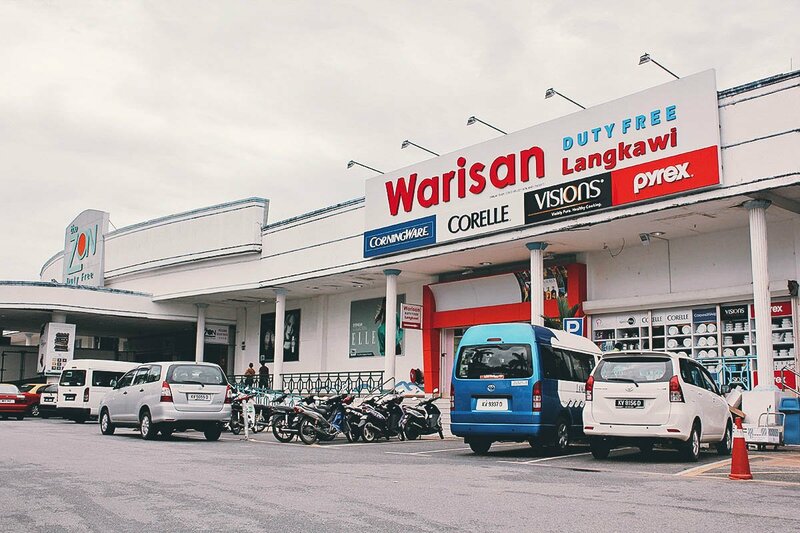 Most duty-free shopping centers on the island can be found either in Kuah Town or along Pantai Cenang. One of the most fun things you can do on the island. I’ve been to mangrove forests before but never like this. An alien landscape, it felt at times like you’d be completely swallowed up by the thick and flourishing mangroves. I loved it. If you were to do just one nature-oriented activity on the island, then I would strongly recommend this one. We booked our mangrove kayaking tour with Dev’s Adventure Tours. I can’t recommend them highly enough. Check out my post on Mangrove Kayaking with Dev’s Adventure Tours for more pictures and information. 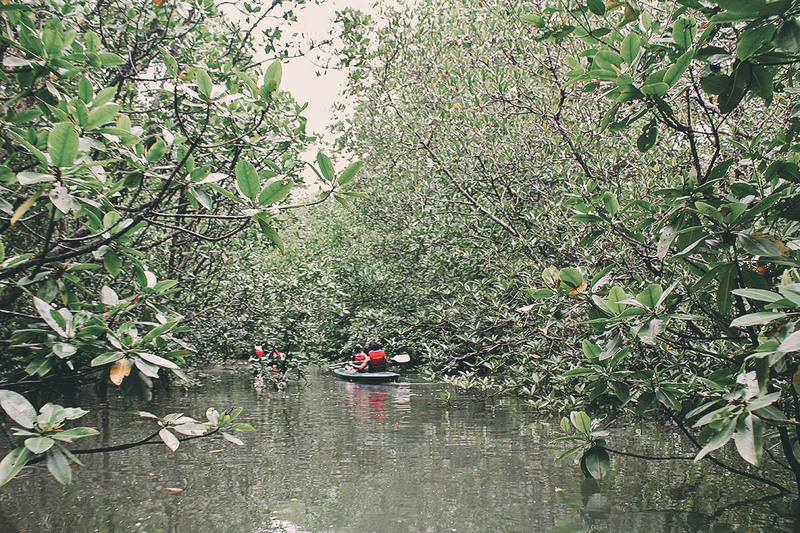 This is in a different area and probably run by a different tour group, but you may want to check out this mangrove kayaking tour in Kubang Badak as well. The mangrove kayaking tour lasts five hours with lunch at the Hole in the Wall fish farm and restaurant. 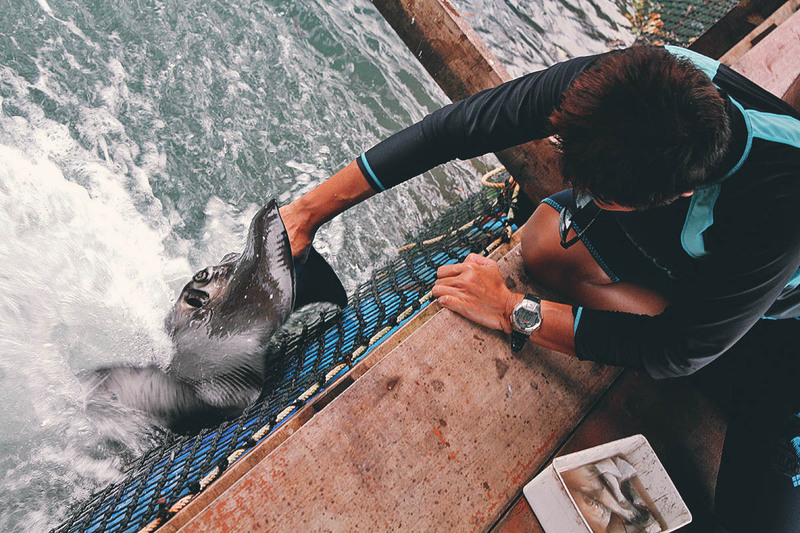 There you’ll have the oportunity to hand feed a stingray as well. Awesome! 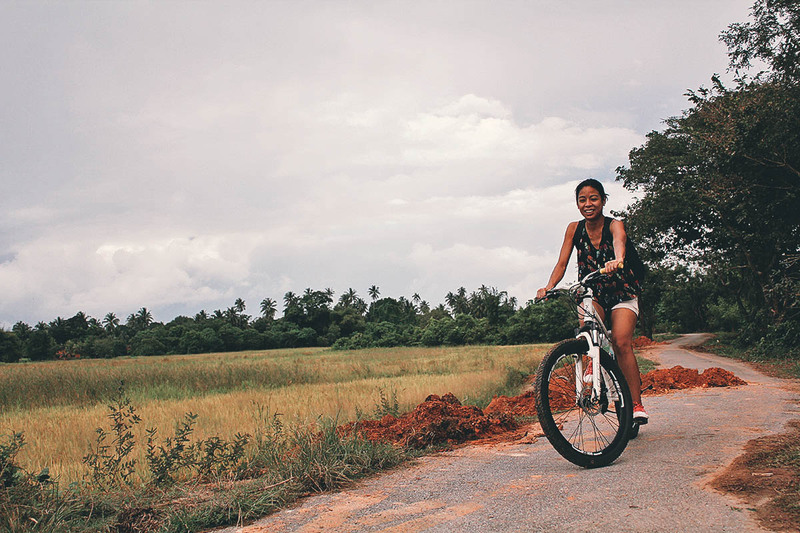 A fun three- to four-hour biking tour through the paddy fields, river banks, and forest. This was the second of three tours that we booked with Dev’s Adventure Tours. Check out my post on Nature Cycling with Dev’s Adventure Tours for more pictures and information. A third tour that we did with Dev’s Adventure Tours, this is a three-hour guided trek through the rain forest that you can do either in the morning or late in the afternoon. The afternoon trek gives you a chance to spot nocturnal animals like lemurs and squirrels so we went with that. 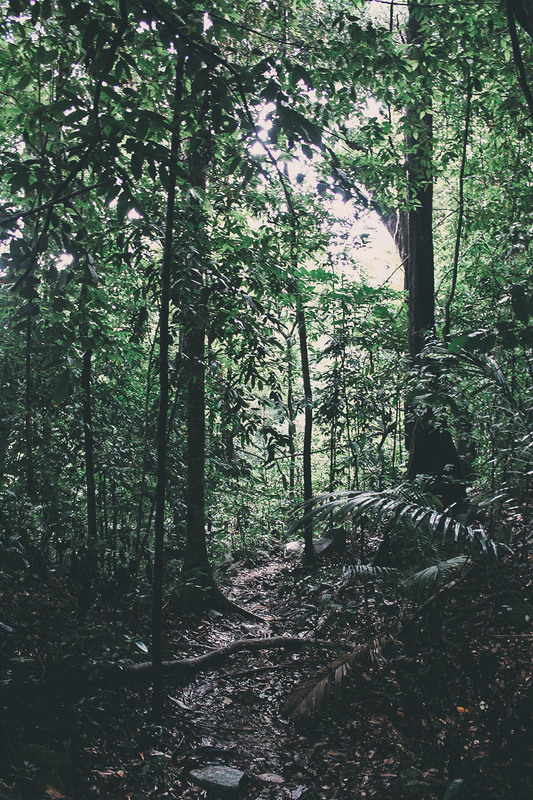 Check out my post on Jungle Trekking with Dev’s Adventure Tours for more pictures and information. I’m not sure who runs them but Klook offers morning and evening rainforest treks as well. Again, I can’t recommend Dev’s Adventure Tours enough. An annual TripAdvisor winner, their tour guides are knowledgeable and highly professional. They make the tours a lot of fun too. It’s worth noting that booking two or more tours with them will entitle you to discounts. Follow the link for information on Dev’s Adventure Tours package rates. We didn’t do it but sailing cruises are another popular activity in Langkawi. 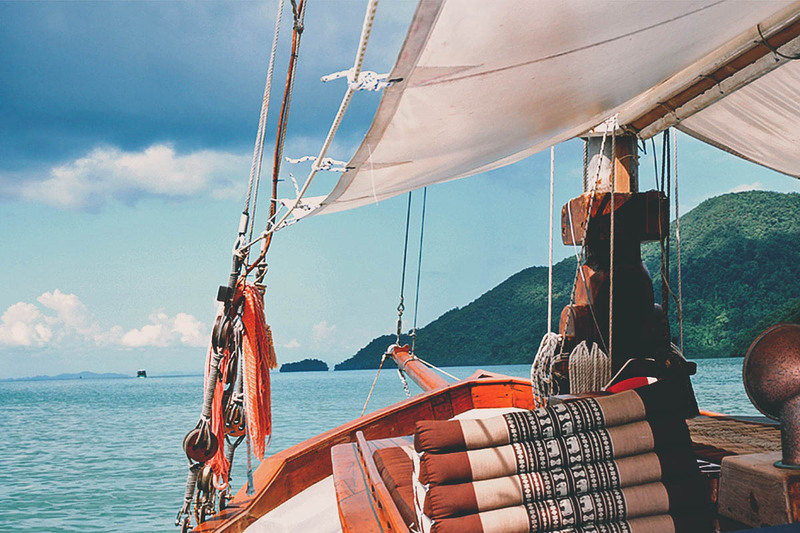 Fast becoming a sailing destination, many believe that Langkawi’s 99 islands are best enjoyed by boat. 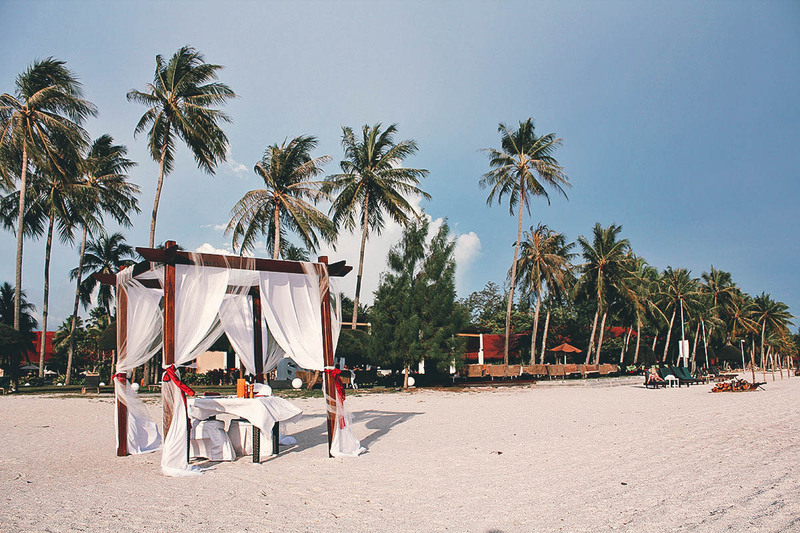 With shared cruises starting at RM 450 and private charters at RM 2,750, Damai Indah Luxury Cruises appears to be one of the most popular cruise operators. Klook offers several Langkawi cruise options as well. If a cruise is too much, then you may be interested in an island hopping tour instead. Check out this Langkawi island hopping boat tour on Klook for more information. We try to eat like locals on our trips. As much as possible, we avoid any pricey, westernized restaurants that cater mainly to tourists. Most of the restaurants on this list are budget-friendly and frequented by locals. The sign says it all. 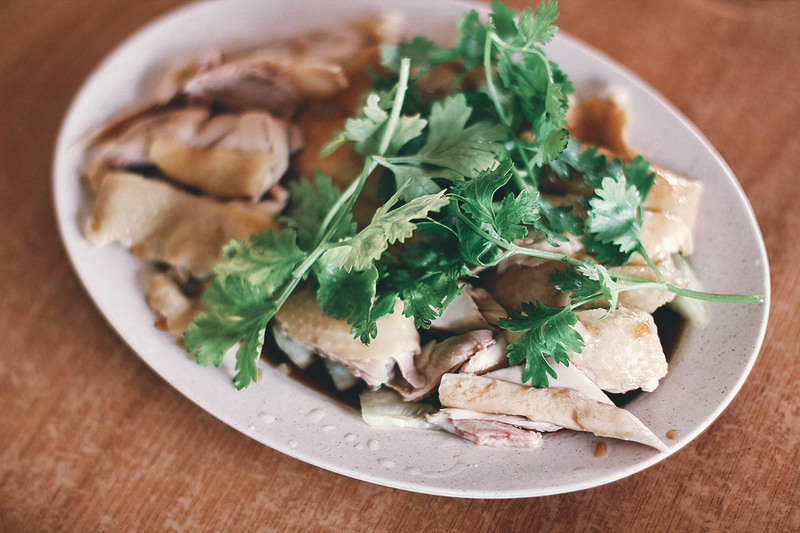 Chicken Joe’s is said to be the best place to get Hainanese chicken rice on the island. If you like this poached chicken dish, then I suggest enjoying a meal here. It’s delicious, and reasonably priced too. Langkawi Hainanese Cafe is located at 133 Langkawi Mall, Jalan Kelibang, Kuah. CLICK HERE for a map. 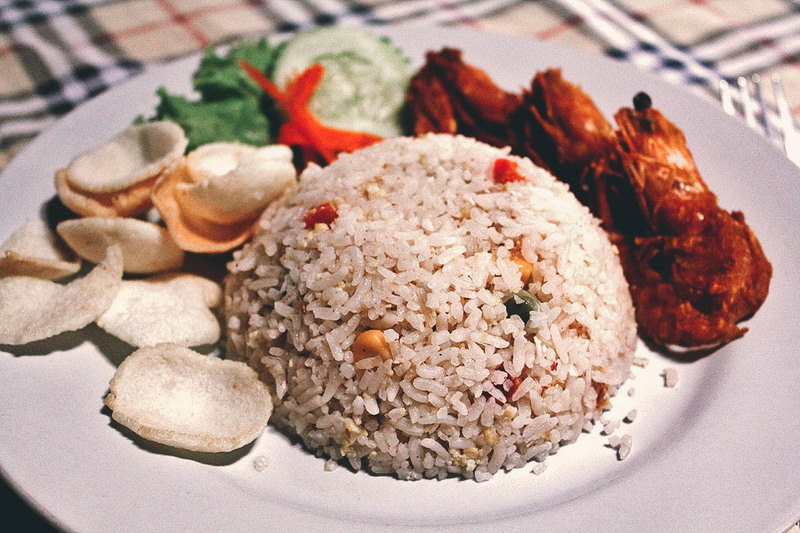 Not to be confused with nasi campur, Tomato offers a similar dining experience called nasi kandar. 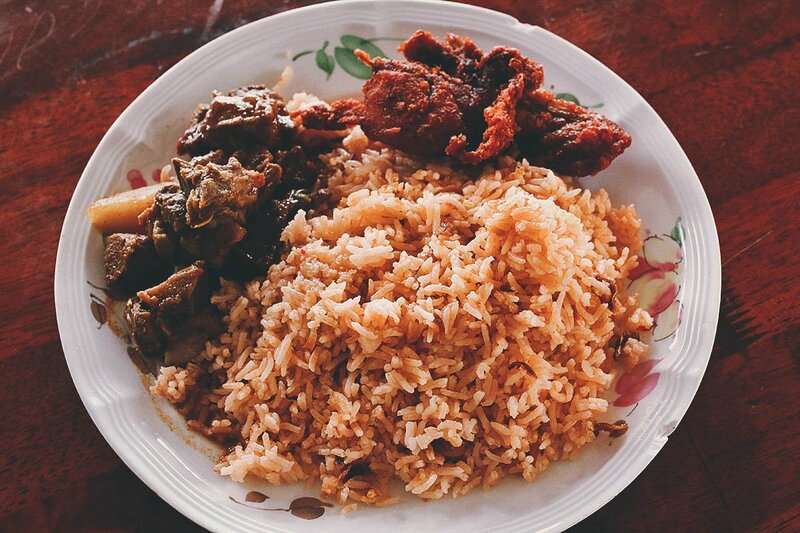 Of Penang origin, the term nasi kandar traditionally refers to a meal of steamed rice served with a variety of curries and side dishes. Tomato is a cheap local favorite along Jalan Pantai Cenang that’s open 24 hours. CLICK HERE for a map. Another restaurant that’s popular among the locals, Mangga serves delicious seafood at reasonable prices. 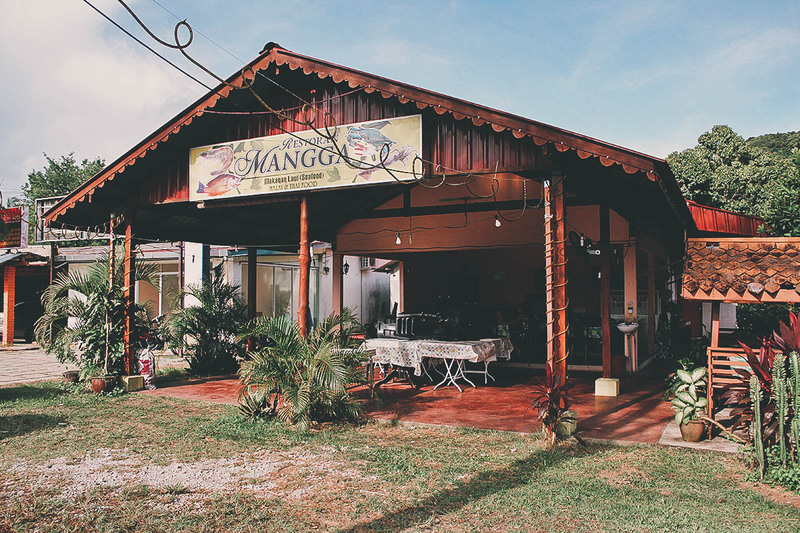 Restoran Mangga is located along Jalan Pantai Tengah. CLICK HERE for a map. A unique, floating restaurant that doubles as a fish farm/tourist attraction, we had lunch here as part of the mangrove kayaking tour. Being a popular tourist spot (and so far-flung), the prices are a little higher than average but the seafood is undeniably fresh. The experience alone makes it worthwhile. Floating and attached to the side of a limestone cliff, Hole in the Wall is accessible only by boat which leaves from Kilim jetty. It’s best to make arrangements with your hotel before going. CLICK HERE for a map. My only regret from our trip. We had already returned our rental car when we found out about these night markets so we weren’t able to go. Running from 7-10PM at a different location on the island every night, vendors sell all kinds of food, fresh produce, and locally made items like clothes and souvenirs. 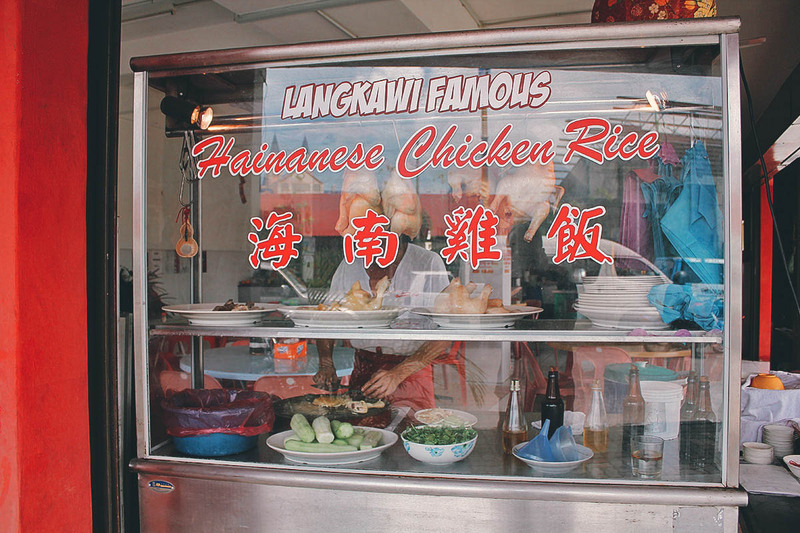 Follow the link for information on where these Langkawi night markets are held. I think it goes without saying that a wifi connection is a necessity these days, especially when traveling. You’ll need it to convert currencies, post on social media, check emails, etc. We never go anywhere without renting a pocket wifi device first. If you’re flying into Malaysia via Kuala Lumpur, then you can rent a 4G pocket wifi device through Klook. If you’d rather get wifi access via a sim card, then you can order a 4G sim card in advance and pick it up at Langkawi Airport. There are many online booking platforms that provide tours around the world. For Asia, my absolute favorite is Klook. 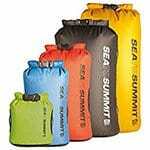 They often have the biggest selection for the best prices and their website is easy to use. 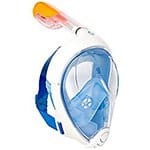 Follow the link for a list of Lankgawi deals on Klook. We don’t always get travel insurance. If we’re going on a trip that doesn’t really call for it – like a quick trip to Osaka to traveleat for a few days – then we won’t get it. But we got it for this trip to Langkawi because of all the physical activities we had planned. If you’re planning on doing any outdoor activities, then you may want to get it too. 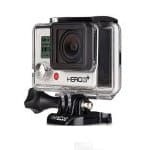 Check out my post on why we buy travel insurance for more information. We get travel insurance from World Nomads because many long-term travelers recommend them. Follow the link or use the widget below to learn more and get a free travel insurance quote from World Nomads. As previously mentioned, rental cars and motorbikes are the most popular and convenient form of transportation on Langkawi. The island is pretty spread out so taxis can become expensive. People in Malaysia drive on the left side of the road so I was admittedly nervous at first. But after our first day driving around the island, I realized that I had no reason to be. With the exception of maybe a couple of areas like Kuah Town and Pantai Cenang, the rest of Langkawi is pretty much deserted so you’ll find yourself driving for miles without seeing another car on the road. 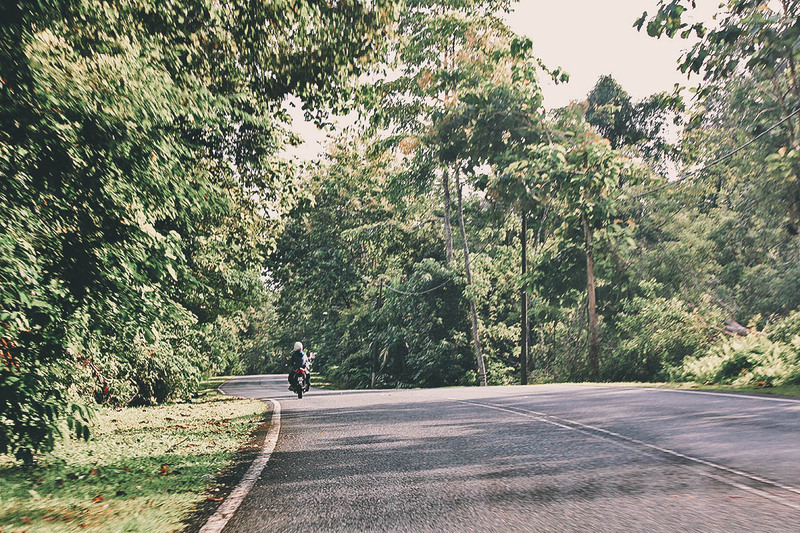 With the landscape being so lush and green, driving around the island was a wonderful experience. It was definitely a highlight for me. There are many car rental agencies in Langkawi. 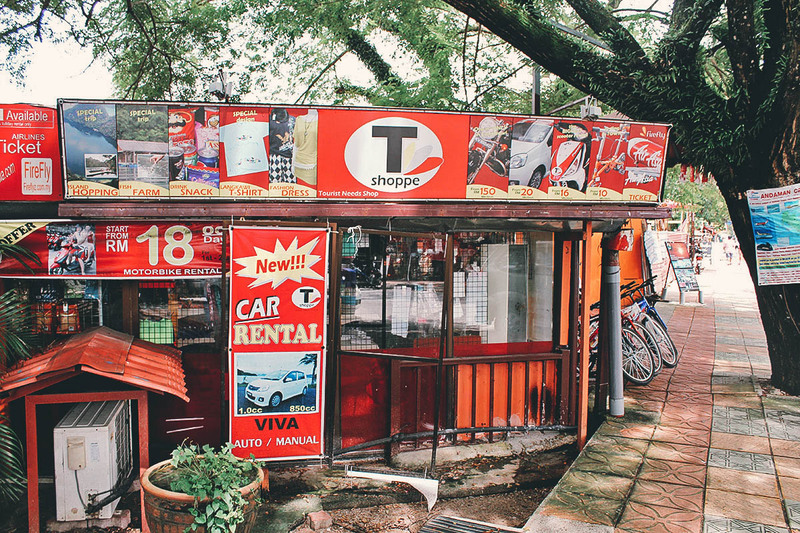 We rented our compact from T Shoppe which has branches in Kuah Town, Pantai Cenang, and Pantai Tengah. In 2013, rental with full coverage insurance came out to RM145 per day. Based on my research, it should still be around that rate for compact cars. There are gas stations all over the island so it’s easy to refuel. Fuel on Langkawi is cheap, about RM2.50 per liter in 2017. If you’d like to rent a car but don’t want to drive, then you can hire a private car charter through Klook. I’m hardly an expert on Langkawi but I do hope you find this guide useful. I’m only sharing some of the things that I learned from our trip. If you have any suggestions, then please feel free to let us know in the comment section below. 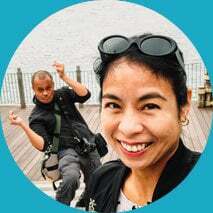 You’re welcome to join our Facebook Travel Group as well. Thanks for stopping by and enjoy your time in Langkawi! Some of the links in this guide are affiliate links, meaning we’ll earn a small commission if we make a sale at no added cost to you. We only recommend products and services that we use ourselves and firmly believe in. We really appreciate your support as this helps us make more of these free travel guides. Thank you! But I would also recommend to rent scooters (around 20RM a day) or car (from 100RM+ a day), you will have so much more freedom that way. Thanks for chiming in Mike. +1 on the scooter or car rental. Langkawi really is best experienced with your own set of wheels. Nice article/blog. I will be visitin Langkawi in two weeks, and this was nice information to get. Hey! i loved this blog of yours. I would want to ask you where should i book my hotel, so that i don’t have to walk too much. i want the hotel in center so that all top tourist attractions are nearby. Shoudl i book the hotel in Pentai Cenang or Pentai Tengah? Hey Anthony, I haven’t taken any Kkday tours in Langkawi but I’m a fan of both Kkday and Klook and have nothing but good experiences with them. With that said, how good the tours are depends on the local tour operator they’re partnered with. I can’t say from experience how good the Langkawi tours are but I would trust Kkday. Hope that helps and enjoy your trip. 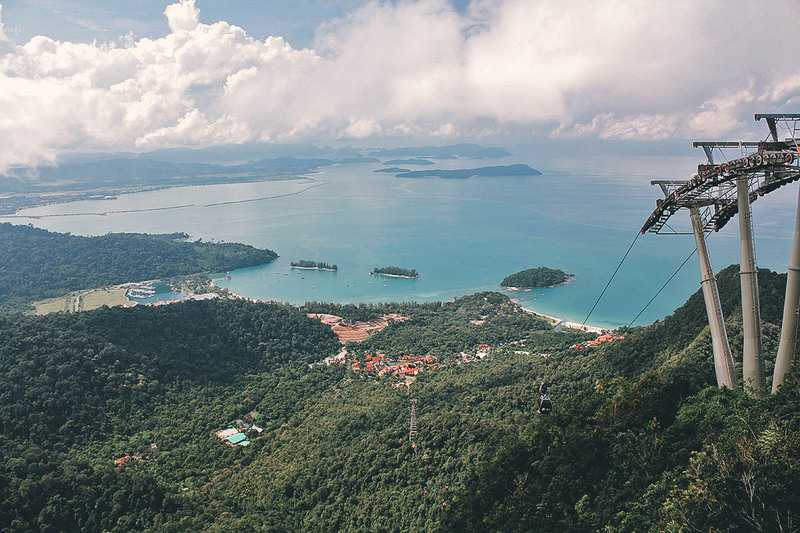 Hi, would like to ask which tour you booked for Langkawi Cable Car & SkyBridge. Hi Joycelyn, we didn’t actually book any tours in advance. We just drove there and bought our tickets at the gate. 🙂 Kkday offers a tour that includes SkyCab and Skybridge as well. You can click on the link to check out the deal. Hope that helps and have an awesome time in Langkawi! This is a good read. Thanks for the tips and tours recommendation!! I just want to ask you “why didn’t you publish this article earlier, or before my visit to Malaysia in December 2017”? My trip would’ve been more interesting if you’ve had. The way you covered everything and backed with pictures has left me feeling as if I am taking a virtual tour to Langkawi. Thank you for taking efforts since it will definitely benefit many thinking about traveling to Malaysia. You have one great resource here. Thank you for all these information and recommendations. Will sure come handy on our next visit to Malaysia. Kudos!